ZSL's Prince Philip Zoological Library & Archives contains a unique collection of resources on zoology and animal conservation. The ZSL Library Catalogue can be viewed online with details of all serial holdings - most-pre-1860 books and books published from 1993 onwards can be found. If you experience any problems with the catalogue please email us via library@zsl.org. Details of other books can be found in our card catalogue in the Reading Room. New – short library & archive talks before Science and Conservation Events. Start at 4.45pm - no need to book just come along. ZSL Library & Archives will be open until 5.45pm on these dates. ZSL Library is open Monday-Friday, 9.30am-5.30pm. It is closed on all public holidays and at weekends. Free wireless internet access is now available in ZSL Library. To connect your laptop to the wireless network you simply need to request a password from the Library desk (the password will be changed on a weekly basis). Please ask Library staff for further details when you next visit ZSL Library. Discover more about the pioneering zoologist who described many Himalayan species for the first time. Founded in 1826, the ZSL Library has amassed one of the most extensive zoological collections in the world. Every month one of the pieces held in ZSL’s Library, ZSL London and at ZSL Whipsnade Zoos will feature here as ‘Artefact of the Month’, helping you to discover the historical wonders that ZSL has to offer. ZSL Library is closed on all public holidays and at weekends. Library users below the age of 16 must be accompanied by an adult at all times when visiting ZSL Library. ZSL Library is in the Zoological Society of London's main office building, situated on the Outer Circle of Regent's Park, approximately 200 yards East of ZSL London Zoo's main gate and adjacent to the ZSL Meeting Rooms. Library users do not have to enter ZSL London Zoo to use the Library. ZSL Library Catalogue can be viewed online with details of all serial holdings - most-pre-1860 books and books published from 1993 onwards can be found. Visitors may want to view this online catalogue before they visit the library in person. Find out more about the ZSL online Library catalogue. In response to feedback from Fellows and other Library users, free wireless internet access is now available in ZSL Library. To connect your laptop to the wireless network you simply need to request a password from the Library desk (the password will be changed on a weekly basis). Please ask Library staff for further details when you visit ZSL Library. 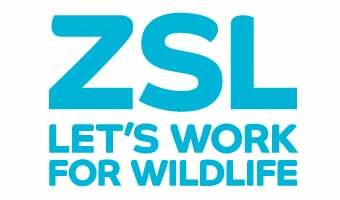 Are you a Fellow or a member of ZSL? Find out more about visiting the library and upcoming tours here. please bring your membership card with you when you visit or proof of address and photo identification if you are member of the public visiting the library for the first time. ZSL Library is access via two flights of stairs. If you are not able to use the stairs please let us know in advance of your visit so we can provide assistance. We do have to access the Reading Room, the lift is 65cm wide and 120cm deep but if you need to use this, please do contact us in advance. Each month the ZSL Library Team compiles this list of newly acquired books and journals. The ZSL Library is open to all - please see below for access details and limitations on usage. Members of the public who are not members of ZSL or the RES may request a Library reference ticket. Please note that you will be able to use the Library for reference only. No books may be removed. Please bring proof of your address and photo identification with you on the day that you wish to join the Library: this is necessary even for day tickets. You will be asked to complete an application form on your first visit and a ticket will then be posted to your home address. Fellows of the Zoological Society of London are welcome to use the Library and borrow up to six books at a time. Since September 2011 Student Fellows have been able to borrow up to two books at a time. Please bring your Fellowship card with you when your visit. ZSL Members are welcome to use the Library for reference only, no books may be removed. Please bring your membership card with you. Scholars from around the world are welcome to apply and receive privileged access to ZSL Library for a period of time, giving an opportunity to study rare or unique items in the collections. Find out how to apply for an honorary position as a visiting library scholar. Please refer to our regulations for Special Collections if you wish to consult ZSL Archives, art works or images. For books published before 1993 it is advisable to check both this catalogue and the card catalogue in the Library Reading Room. We are currently adding details of all books in the Library, please see details of this project below. Our art works have been catalogued with funding from the Michael Marks Trust. Artworks and artefacts are not all listed individually, some are listed as collections. The catalogue contains a limited number of records for the ZSL Archives, if you cannot find what you want please check with our Archivist by emailing library@zsl.org . View our Library catalogue Frequently Asked Questions. ZSL Library is pleased to announce that all the books within its Reading Room have been added to the online catalogue. A Retrospective Book Cataloguing Project commenced in Summer 2010 after a generous bequest by former staff member, Connie Nutkins. For many years ZSL Library has had a large gap in its online catalogue, where books published between 1860 and 1993 could only be located via the physical card catalogue located in the Library’s Reading Room. The limited access to the Library catalogue meant that many researchers were not aware of the items held in this unique collection. It had been hoped to for some time that a cataloguing project would help widen access to the Library, and it was only after Connie’s kind bequest that the project became a reality. By the end of Autumn 2014 all the books in the Reading Room had systematically been added to the Library’s online catalogue, with the benefit of not only increasing access to the collection, but also giving Library staff an opportunity to perform a thorough stock check and perform conservation reports. This was a key project in helping ZSL to deliver the strategic aim of facilitating access to zoological and conservation knowledge. Thanks must go to staff and volunteers who have worked so hard on this project, and a special thank you to the late Connie Nutkins who made the project possible. The following questions and answers should help you to make effective use of our catalogue.